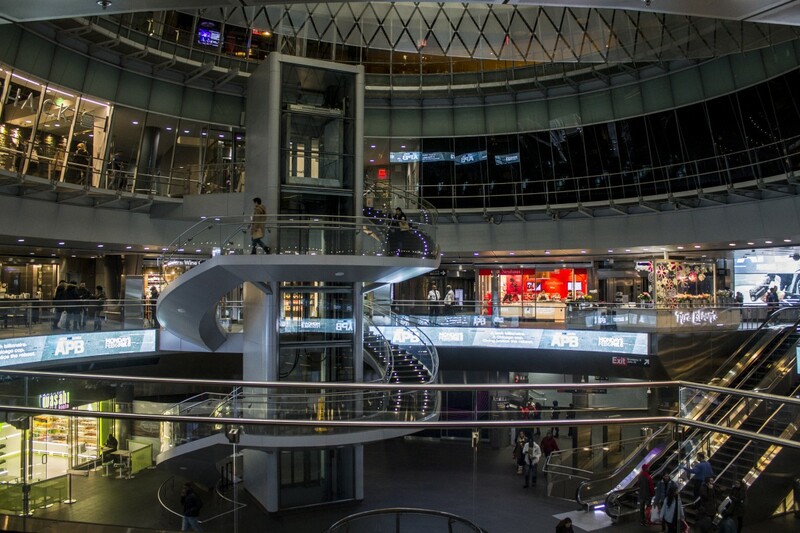 The Fulton Center is a $1.4 billion dollar mall that also serves as a transit hub. It’s massive, beautiful, and the probable cause of our ridiculous MTA fees. 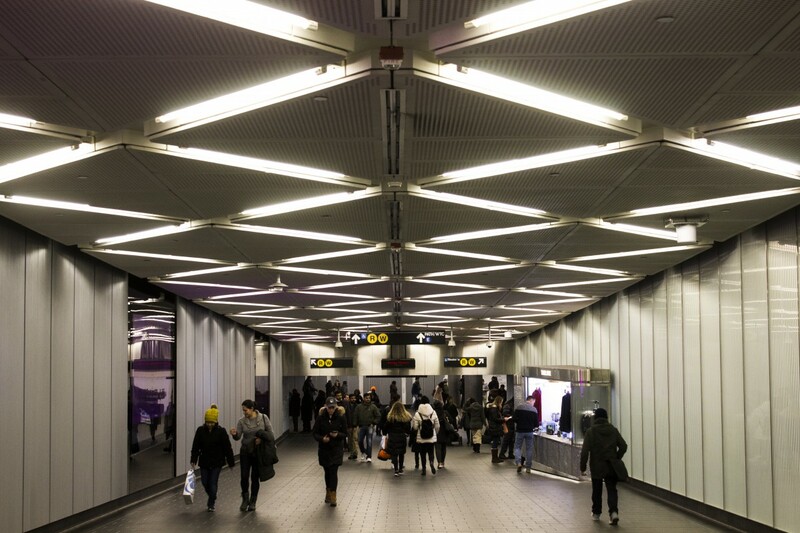 It was entirely funded by the MTA and officially opened up to the public on November 10, 2014. 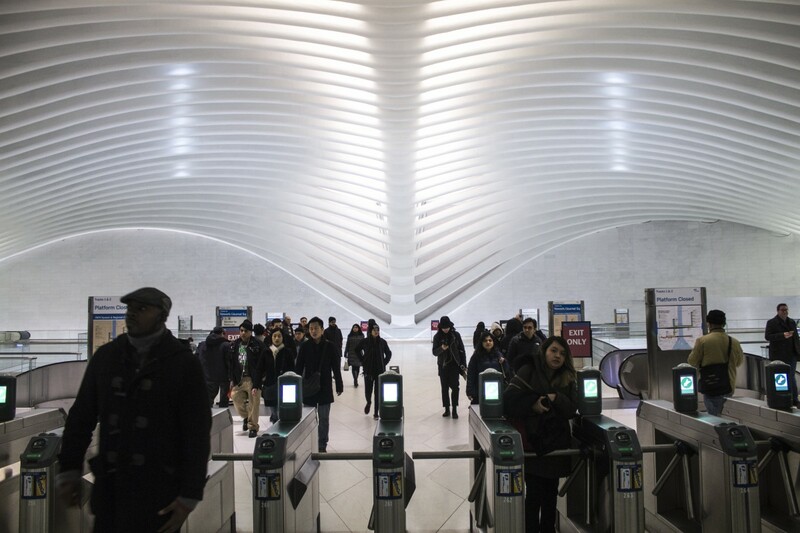 What’s really cool about this station is not only it’s modern design, but the fact that it has a long tunnel directly connecting to the World Trade Center Oculus hub, which I just did a post about a few weeks ago. This long tunnel is known as the Dey Street Passageway. 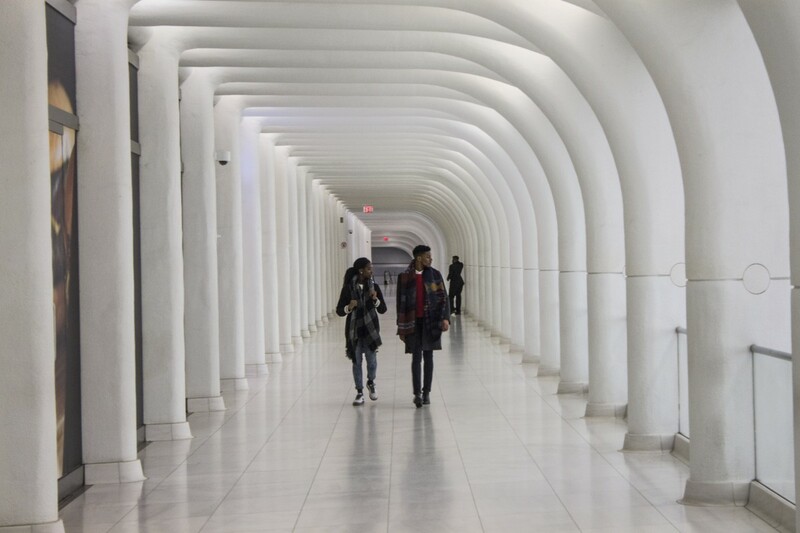 Somehow, this tunnel connects to the Oculus, the Fulton Center, and 10 different train lines. The center and the station together make a very complex design, I spent a lot of time walking around in the Fulton, and still feel like I missed something. The main attraction, however, is the main building’s “oculus” at the top, which allows a large ray of sunlight into the building. Nearby buildings were demolished to let that light shine through. 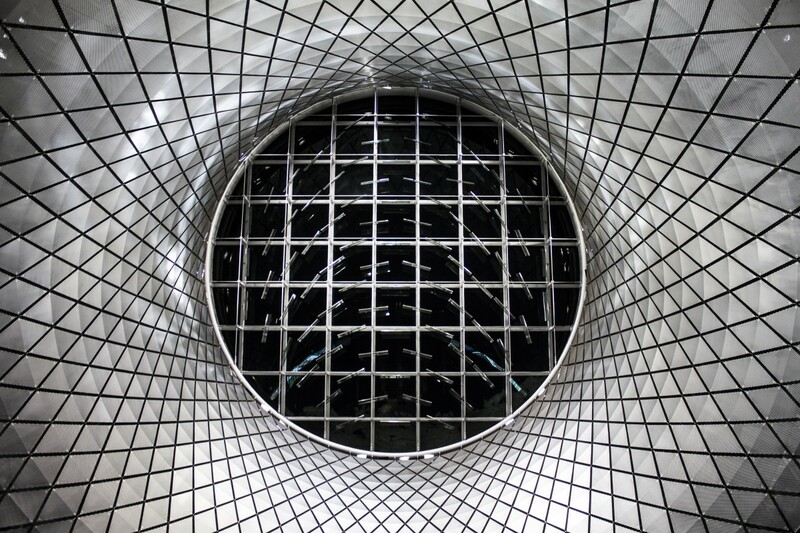 When looking up at the oculus from the inside, the oculus walls are imbued with mirrors known as the “sky reflector net,” which allows the sunlight from to bounce of the mirrors to reach a deep distance within. 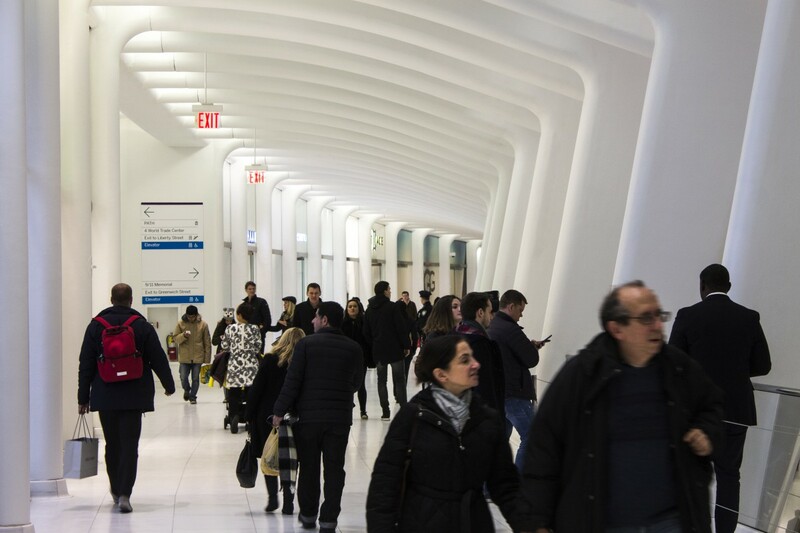 The Fulton Center is shaping up to be one of my favorite spots in the city, it’s great to look at, and it’s cool to hang out with friends at because of the retail stores and food spots. Maybe one day, it’ll be in the hall of fame of historic places. 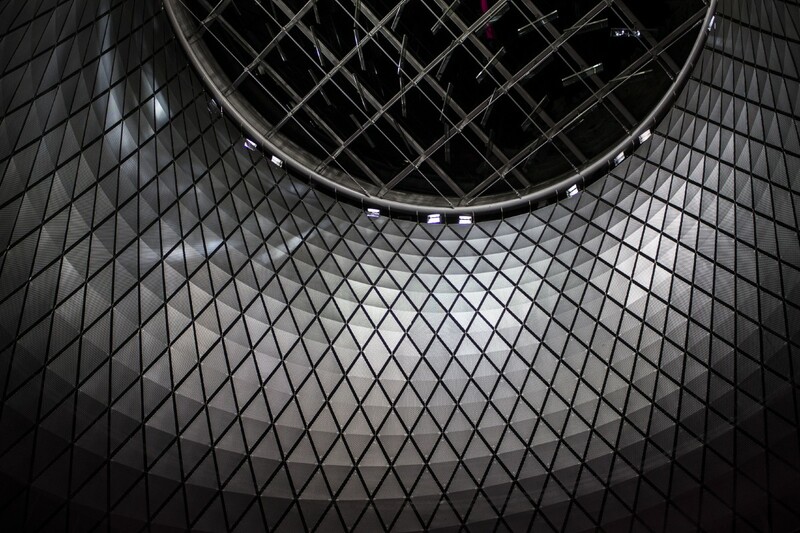 The oculus of the Fulton Center (taken at night). Part of the mall area of the Fulton Center. The Dey Street Passageway, which connects to the WTC. The theme of my posts usually revolve around travel, exploration, and discovering places you may not know about. But when it comes to traveling, the means of travel itself is often overlooked and underappreciated. Some airports and train stations in this country are true works of art. For the next few weeks, I’ll be posting about the transportation hubs and train stations in our eastern bubble. 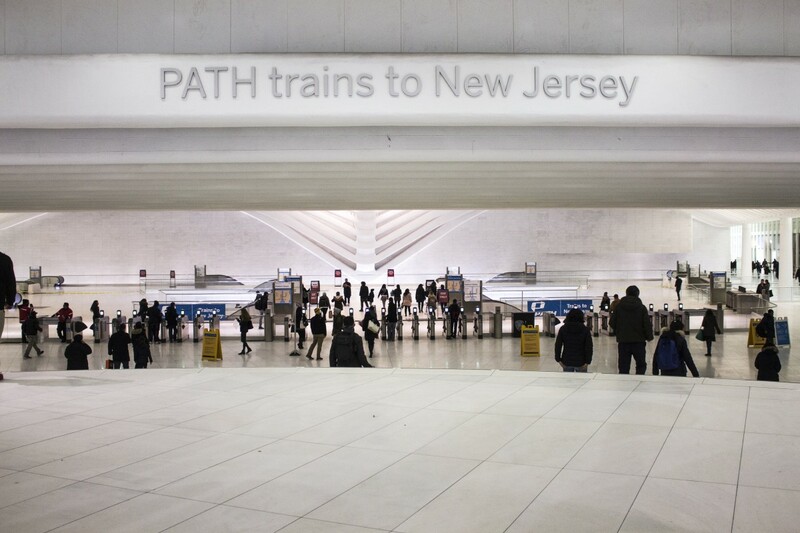 In New York alone, there are so many masterfully designed stations with long, complicated histories. 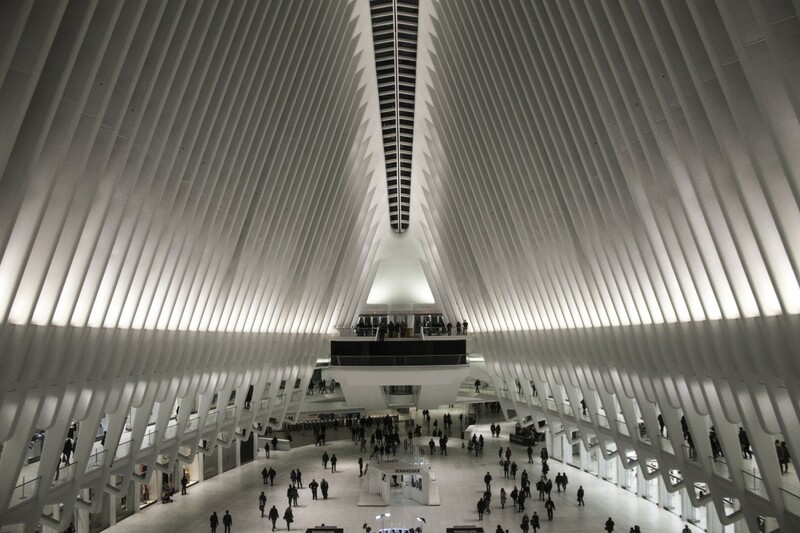 The first transportation hub I’ll be talking about is the Oculus, also known as the World Trade Center Transportation Hub. 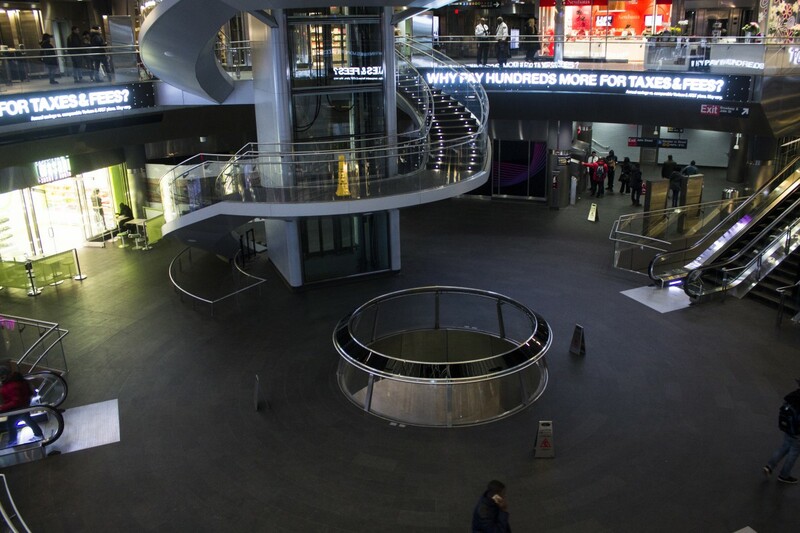 It’s a massive, oddly shaped structure with a brand new 21st century design (just opened to the public in 2016), but the station within has a long history of opening, closing and reopening. Luckily, this isn’t some boring history lecture. All you need to know is that it’s massive, it’s weird, it’s beautiful, there’s a mall inside of it, and you should totally go visit when you have a chance. It was designed by an architect named Santiago Caltrava, and he has being designing massive structures all around the world since the early 1980s. The Oculus is by far my favorite station, here are pictures of Santiago’s $4 billion project in downtown Manhattan.